Welcome to the July 24, 2017 edition of ACM TechNews, providing timely information for IT professionals three times a week. Who Will Control the Swarm? Researchers envision bicycles communicating with autonomous vehicles so the latter can predict cyclists' movements. Waymo's self-driving autos have honed their predictive abilities over many simulated and actual driven miles, notes Waymo's Nathaniel Fairfield. Waymo's vehicles are programmed to pass bikes in compliance with state laws, or to wait if such action is impossible. 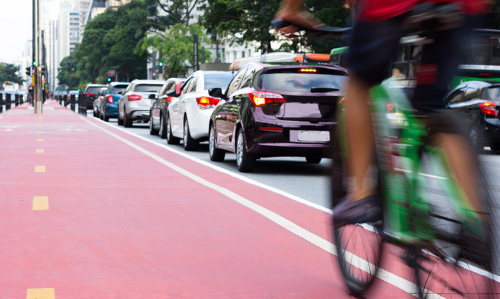 Carnegie Mellon University professor Anthony Rowe wants bikes to feed data to cars. "We're trying to...put as much instrumentation on a bike as we can to see if we can predict how it's going to move in the future, so that it could, for example, signal a collision-warning system on a car," Rowe says. His team wants to collect as much information as possible to determine the precise and constant position of a bike in the world, and then determine the least amount of data a car requires from a cyclist for it to trigger an automatic braking system. Christopher Beckham and Christopher Pal at the Montreal Institute of Learning Algorithms in Canada have trained a deep-learning machine to create Earth-like landscapes using satellite images as a training set, effectively writing its own algorithm. The researchers' generative adversarial network features two deep-learning machines that collaborate on their task. The first machine generates new terrain and the second assesses the results and gives feedback to the first machine. That machine then taps the feedback to produce another set of landscapes, and the process continues until the second machine yields landscapes that match the first machine's feedback. Beckham and Pal say the machine can then produce new Earth-like terrains continuously. The training imagery is derived from the U.S. National Aeronautics and Space Administration's Visible Earth database. Beckham and Pal say their research's potential applications "serve to not only promote richer entertainment experiences, but to also provide useful tools to aid content producers in their work." Researchers at IBM and the University of Alberta in Canada used artificial intelligence (AI) and machine-learning algorithms to predict schizophrenia with 74-percent accuracy. The study features 95 subjects, including 46 with schizophrenia and 49 without, and builds on a previous IBM study in which researchers worked with a small group to identify schizophrenics from controls with accuracy. Going forward, the team plans to apply its findings to other diseases, and it currently is working with a foundation that supports Huntington's disease research to continue the work of developing a clinical tool that can provide insights into such diseases. One major problem the researchers encountered was accessing data that is protected by regulations. "This really is a severe limitation for the advancement of knowledge, and there are terabytes and terabytes of data that I know is in hard drives in different institutions, and because of these issues, they don't see the surface," says IBM's Guillermo Cecchi. The U.S. Defense Advanced Research Projects Agency's (DARPA) Electronics Resurgence Initiative (ERI) aims to cultivate broad chip-industry and other partnerships and advance progress of post-Moore's Law technologies, according to program director Bill Chappell. "This is a wildly interesting time where lots of creativity will make up for the march of scaling," Chappell says. Among his expectations when ERI concludes is the design of electronics by smaller teams, machine learning and other methods helping automate physical verification, exploration of deep-neural networks' limits, and nanowatt-class sensors. Chappell says ERI will have launched 10 to 12 such programs over 24 months, while next year the Defense Department's Joint University Microelectronics Program will establish centers conducting systems and circuit research in terahertz wireless, distributed systems, cognitive computing, and storage/memory. 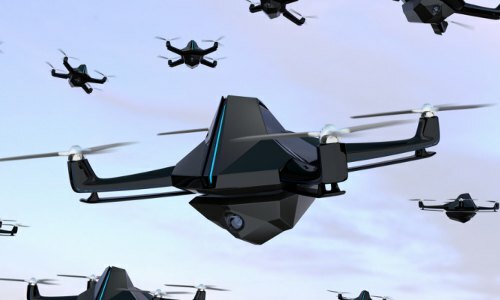 "I see ERI as an opportunity to engage a broader set of partners to bring things to market, many who haven't collaborated with DARPA before," says NVIDIA's Steve Keckler. 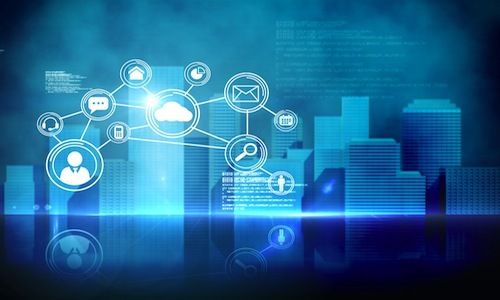 Researchers at Stanford University believe future device swarms will operate via centralized management, using applications running in large data centers, similar to the way the cloud centralizes big data. In order to achieve this goal, the Stanford team has established the Platform Lab to develop infrastructure for these new "Big Control" applications. Although most current research into autonomous vehicles assumes a distributed model controlled in a peer-to-peer manner, with each machine doing its own calculations, a more concentrated model would have significant advantages, says Platform Lab faculty director John Ousterhout, who received the ACM Grace Murray Hopper Award for 1987, and the ACM Software System Award for 1997. Ousterhout notes this more concentrated model would provide a big-picture view of the world that enables better control of higher-level tasks such as system-wide situational perception, decision-making, and large-scale traffic planning. In addition, Ousterhout says the centralized applications can utilize powerful machine-learning algorithms that let the control systems learn and improve their behavior. The researchers are outlining a roadmap of the platform architecture. Researchers at Duke University are using machine learning to train computers to build statistical models that can predict future criminal behavior, which are just as accurate as other methods but more transparent and easier to interpret. The team developed the Supersparse Linear Integer Model (SLIM) using a public dataset of more than 33,000 inmates released from prison in 15 states in 1994 and tracked for three years. SLIM scanned the data to seek patterns, accounting for factors such as gender, age, criminal history, and dozens of other variables in order to predict future offenses. The system then produced a model to predict whether a defendant will relapse or not, based on those same rules. The researchers also developed another machine-learning algorithm, CORELS, which digests data about new offenders, compares them to past offenders with similar characteristics, and divides them into groups to help predict how they might behave in the future. Purdue University's David Ebert and other researchers are working to create software to help farmers find long-term solutions to problems of water scarcity. The team is collaborating with growers of perennial crops and other partners to gather data and transform it into usable information. The researchers' goal is to develop a human-computer collaborative decision-making system for growers to help them make better decisions regarding their farming practices. The decision-making system will feature a graphical interface that enables users to easily see and analyze the information. The system will be a fluid and natural way to give growers the information they need and also put their feedback into the system, which will refine the analysis for further use. Researchers already have visited California to look at existing sensor data. "We're trying to take a sea of data and turn it into decisions that people have to make so they can make better, more effective decisions," Ebert says. A University of Illinois at Urbana-Champaign paper examined the issue of "adversarial examples," or whether artificial-intelligence (AI) devices, such as self-driving cars, could be susceptible to "hacks" of altered objects. Researchers printed fake stop signs with and without modified pixels, concluding that a single pattern applied to a sign could not reliably fool a car. However, Google's Ian Goodfellow disagrees, noting the paper suggests "the adversarial examples do clearly interfere" with the stop sign detector. Pennsylvania State University's Nicolas Papernot says a more sophisticated attack would try to apply a pattern that was crafted to work at different angles. OpenAI attempted to do so, noting, "We've created images that reliably fool neural network classifiers when viewed from varied scales and perspectives. 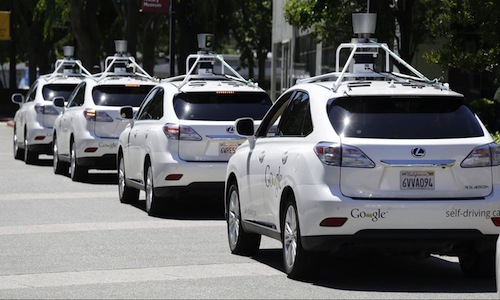 This challenges a claim from last week that self-driving cars would be hard to trick maliciously since they capture images from multiple scales, angles, perspectives, and the like." Wisconsin Superintendent of Public Instruction Tony Evers last month approved Wisconsin's Computer Science Standards for K-12 education, making it the 9th state to establish such a model. As part of the program, each school district will have the choice to accept the standards in full, use them as a foundation to write their own version, or disregard them. Although the document outlines learning objectives for students, each district must decide how to develop its own programs. The standards propose integrating fundamental computer science concepts, such as using numbers or symbols to represent objects, into elementary school classrooms and moving on to more technical courses in high school. The most significant barrier to implementing the program will be finding teachers qualified to teach computer science classes. 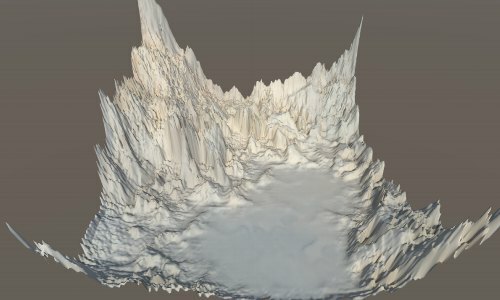 Marquette University is working to solve that issue with an initiative to increase the number of computer science teachers in Wisconsin, thanks to a $1-million U.S. National Science Foundation grant. The Intelligence Advanced Research Projects Activity (IARPA), an organization within the Office of the Director of National Intelligence, has launched the Map of the World (fMoW) Challenge, inviting people from around the world to develop machine-learning algorithms and other automated techniques that can accurately detect and categorize points of interest from satellite imagery. The fMoW Challenge aims to promote and benchmark research in object recognition and categorization from satellite imagery for automated identification of facility, building, and land use. IARPA will provide a satellite imagery dataset with 1 million annotated points of interest to the challenge participants, as well as a predetermined point-of-interest category library and image sets containing numerous unidentified points as training data. Participants will use this data to create an algorithm that can detect and categorize building and land use in the provided images. Participants will be eligible to win cash prizes from a total prize purse of $100,000. Researchers at the University of Utah say they have developed a method to create inexpensive full-color two- and three-dimensional (3D) holograms that are much more realistic, brighter, and able to be viewed at wider angles than current holograms. The researchers say the technology could have a range of applications, including for currency, identification badges, amusement rides, and advertisements. Using algorithms and a new fabrication method, the system redirects colors to appropriate locations, in order to project much brighter photographic images in two or three dimensions and with full, natural colors. 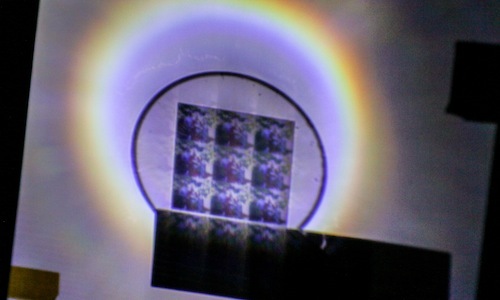 The holograms produced by the system can be viewed with regular white light, and from any angle without changing the image detail. The technology also could be used to produce holographic photos or video, and moving 3D video could be possible in as little as two years, according to Utah professor Rajesh Menon. Researchers at Pennsylvania State University and the Center for Crisis, Community, and Civic Informatics Lab are studying how social media can be leveraged in emergency situations. The researchers want to simplify how emergency management and response personnel monitor and disseminate content across social media, which could help support situational awareness among officials and more effectively share important information with local citizens. The researchers defined three main approaches to using Twitter-based social media as a monitoring tool: geographical information; keyword and content searches, and "social triangulation." Social triangulation identifies local social media users and the information they post according to the characteristics of their social networks. The researchers theorize if they can develop a preexisting dissemination plan, then groups can transmit their messages via Twitter to reach a wider audience. For example, officials could identify and work with local veterinarians' social media channels to recommend shelters available to house pets during a disaster.